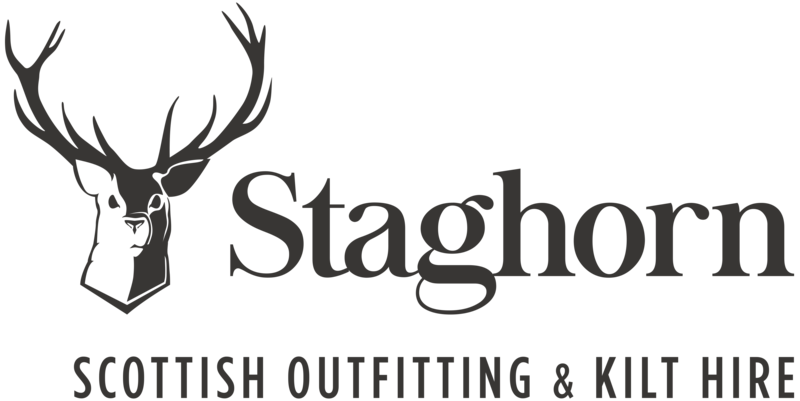 Staghorn offers a range of high quality accessories, giftware, clan jewellery, tartan ties, bowties, scarves and caps, dress and ghillie shirts, hosiery and footwear, along with a huge range of wholly unique hand-crafted Afro-Celtic sporrans. 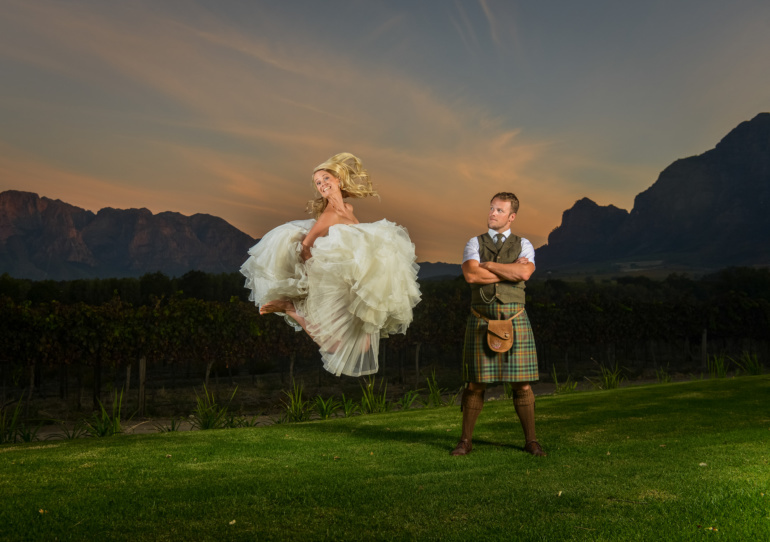 There’s something very special that happens when you add a classy touch of tartan magic to your wedding day. 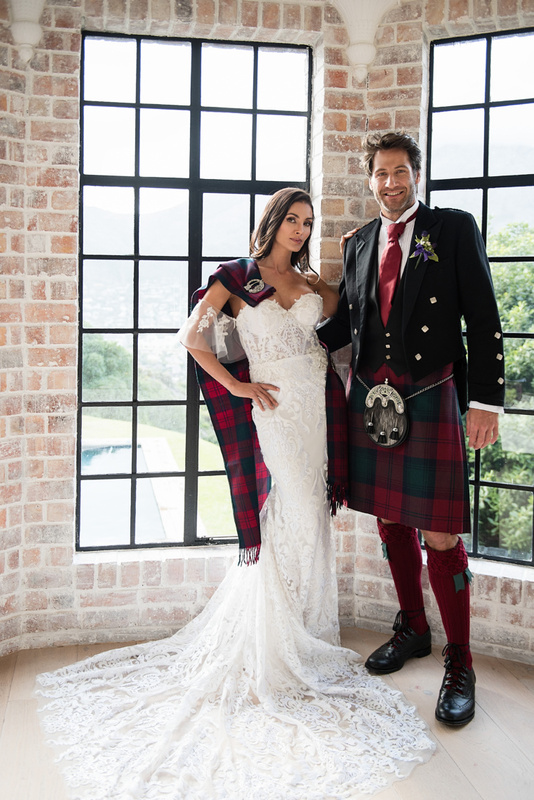 If you’d like to have your own fine kilt in a tartan of your choice, head on over to our kilt-making and tailoring page. 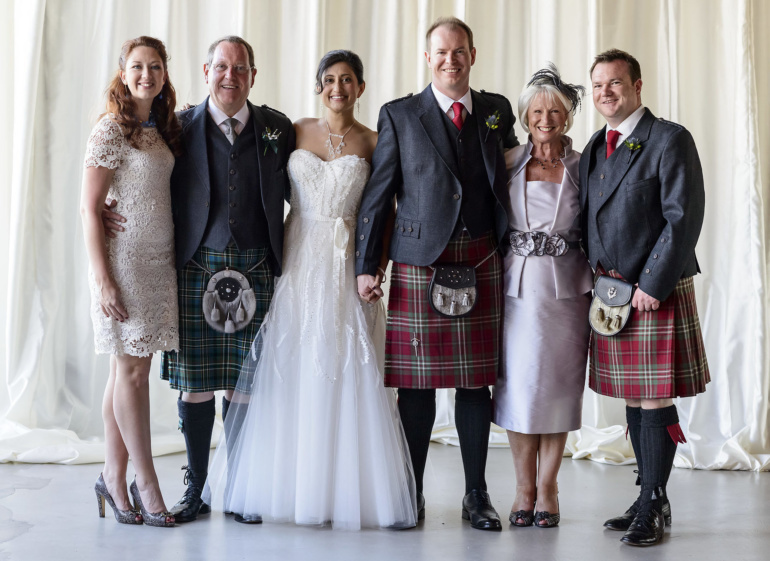 Grooms and groomsmen, fathers of the bride and their friends and family have been dropping into Staghorn’s kilt hire facility (or ordering online) for years to dress for weddings, big and small. 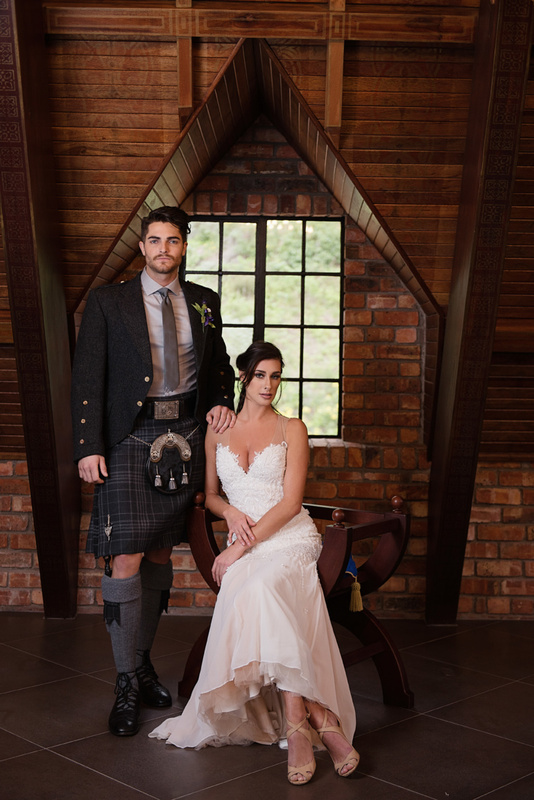 You don’t have to be Scottish, but if you want to make a statement about your personal style and heritage at burns dinners, whisky tastings, matric dances, corporate functions – we’ll certainly help you dress the part. 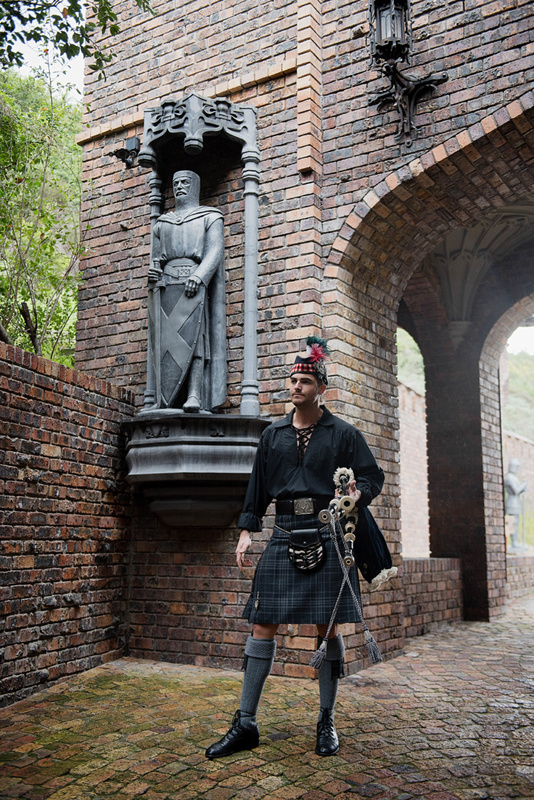 Staghorn’s kilted outfit rental section has a wide selection of over 130 kilts, kilt jackets, waistcoats and all the accessories you might need. Each garment is given personal attention to detail by owner Will Carter, who has decades of experience under his belt. We also have a variety of ladies’ sashes – each with classic Celtic-style brooches – in a wide range of tartans. 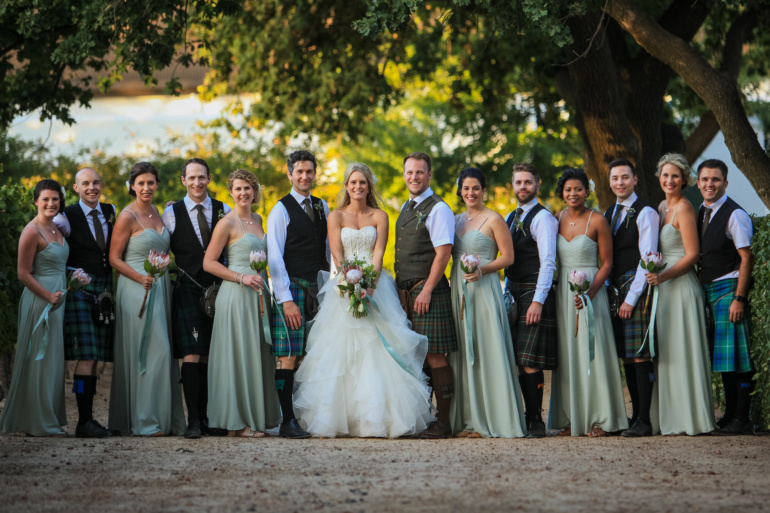 Staghorn provides a unique opportunity for bridal couples to add a classic touch of tartan to their big day. No Scottish-themed wedding is complete without a piper. We have access to a list of competent musicians who’ll add that special touch and more to your wedding. 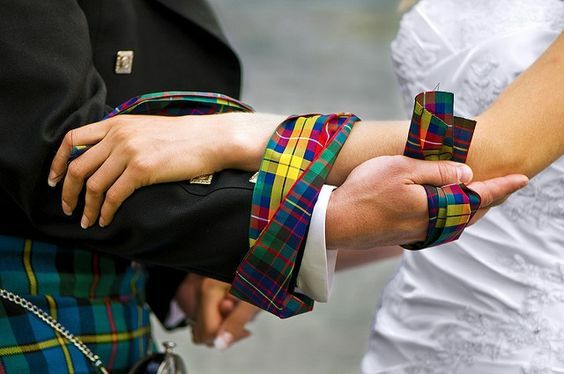 Classic Highland dress comes in many forms and styles and this is still evolving today. 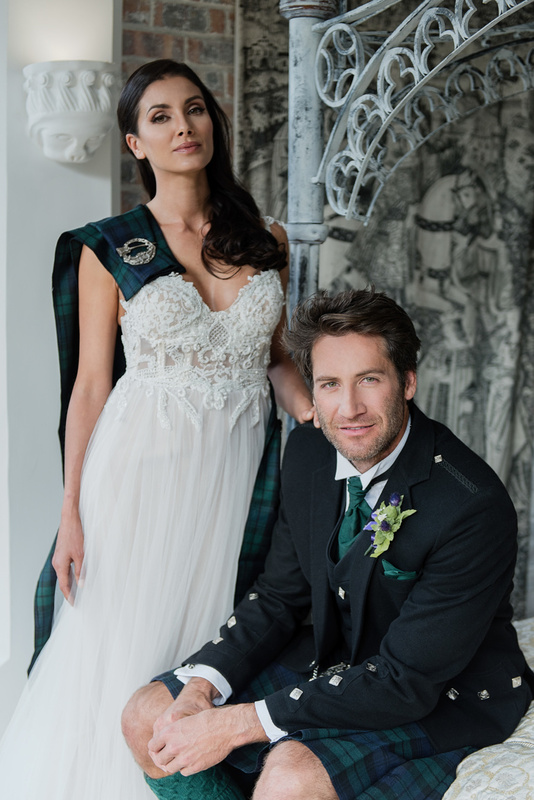 We hand-craft kilts and tailor-make a variety of traditional styles of jackets, tartan trousers and the like for men, women and kids, using only the very best cloth and materials available from Scotland and this country. Behind it all are skills built over years of being tested with tartans busy or plain, bold or subdued, magnificent or ordinary. Kilt-making is a craft that embodies all that is traditional. Time-honoured rules underlie the patience, dexterity and commitment-to-detail necessary to create the perfect garment. No two tartans are ever quite the same, but we have a passion for the play of colours and visual textures that come from building bespoke traditional attire that looks terrific and fits like a dream.